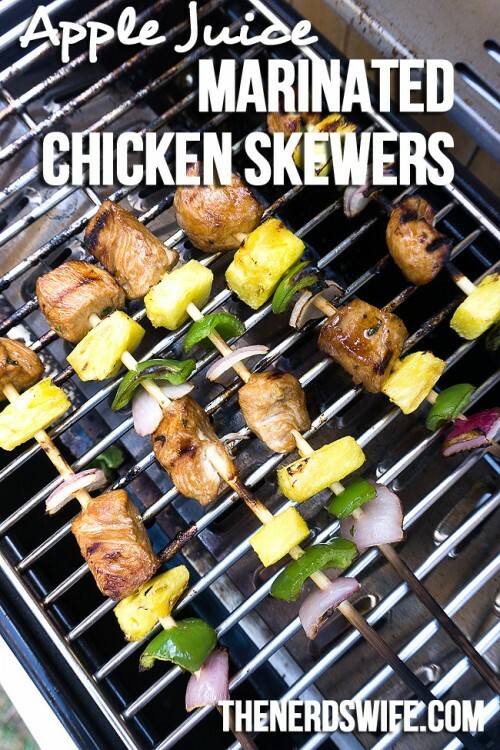 Apple Juice marinated chicken skewers are the perfect way to get the entire family involved in your summer barbecue! We’ve partnered with Juicy Juice to bring you this simple recipe that the whole family can enjoy. This year, Juicy Juice is dedicated to celebrating family moments with their 100% Family Time campaign. You can visit their website for tips, resources, and super-fun ideas on how to make the most of your time together! 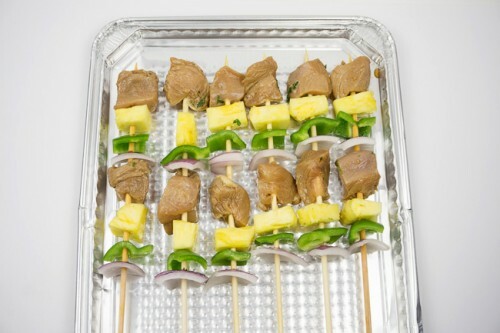 I love serving skewers in our summer barbecues because kids can help put them together! My son loved choosing the veggies and fruit to add to his own special skewers! Cut a hole in the top of the Juicy Juice Organics Apple Juice boxes and pour them into a gallon zipper bag. We always have juice boxes in our house, so using them for a recipe is my secret mom hack! Haha! Add the oil, brown sugar, soy sauce, lemon juice, parsley and garlic and mix well. Pour in the cubed chicken and refrigerate for 6-8 hours or overnight to marinate. Soak the wooden skewers for at least 30 minutes. Meanwhile, peel and cube the pineapple, onion, and bell pepper. 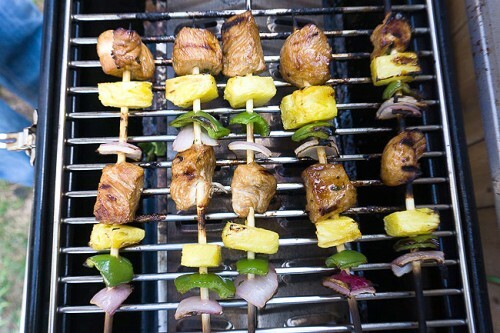 String onto the skewers, along with the marinated chicken. Grill on medium heat until the meat is cooked through. 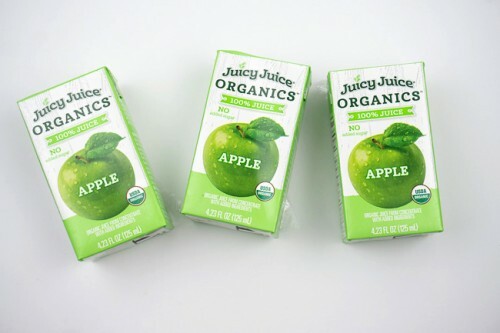 Be sure to enjoy some Juicy Juice Organics Apple boxes while you wait for dinner to be done! One of the newest Juicy Juice product lines, Juicy Juice Organics is made with 100% juice and available in both single-serve 4.23 oz juice boxes and multi-serve 48 oz bottles in Apple and Fruit Punch flavors. 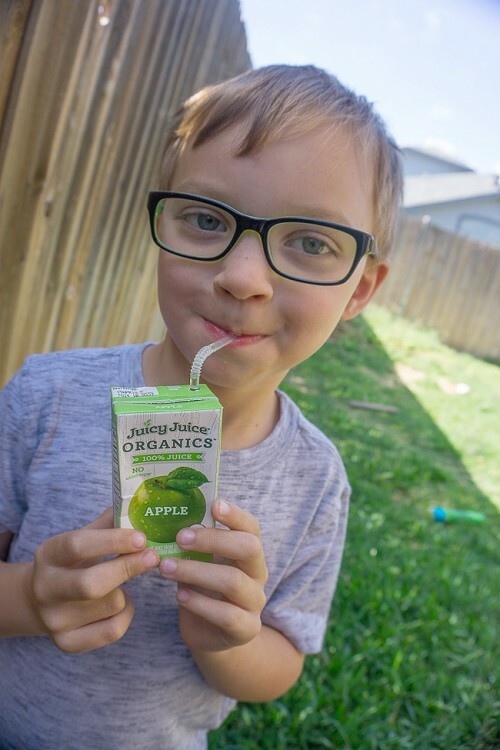 Like all Juicy Juice products, Juicy Juice Organics contains no high fructose corn syrup, no cane sugar and no artificial sweeteners, offering families better-for-you beverage options. Juicy Juice Organics is USDA Organic certified and provides 120% Vitamin C in every 8 oz serving. 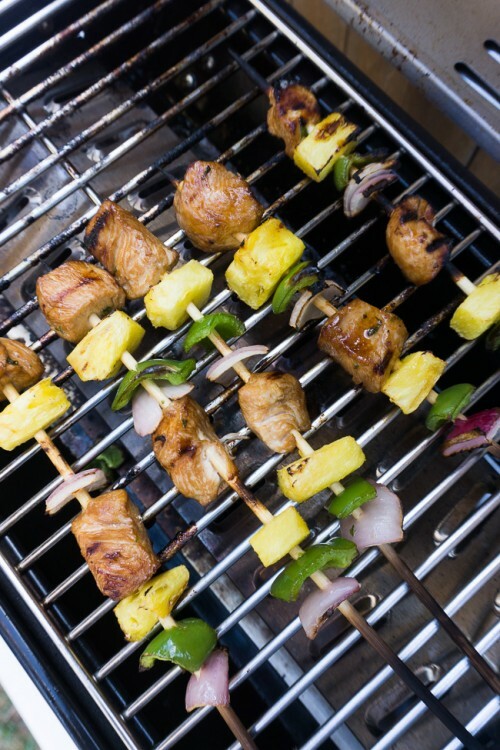 What are some of your favorite summer barbecue recipes?